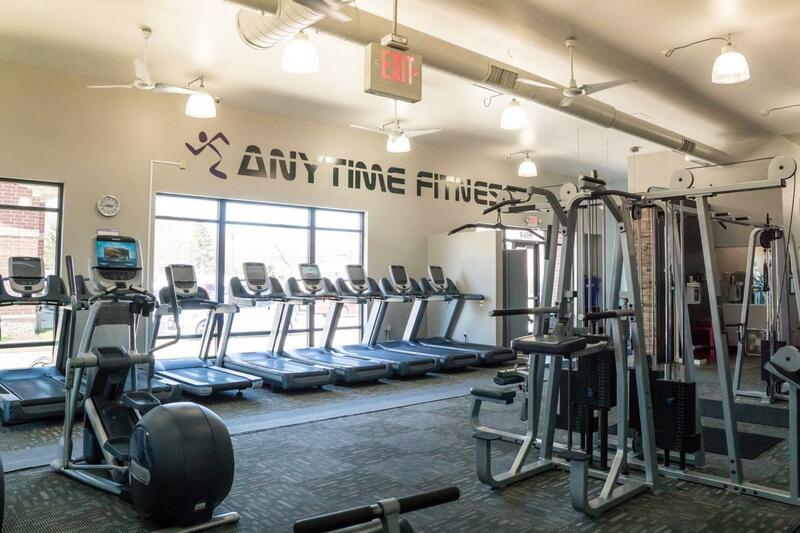 Get to a healthier place at Anytime Fitness Concord Township. We are a locally and family owned health club, and we can not wait to help you get started on your fitness journey. We are known for our comfortable, clean and supportive environment- open 24/7 for your convenience. Members have access to all 4,000+ clubs worldwide. We'll help you get started with 3 free Personal Training sessions upon joining. Stop in during our staffed hours to learn more! Anna graduated from The University of Toledo College of Business, and became a Certified Personal Trainer through the American College of Sports Medicine in 2012. 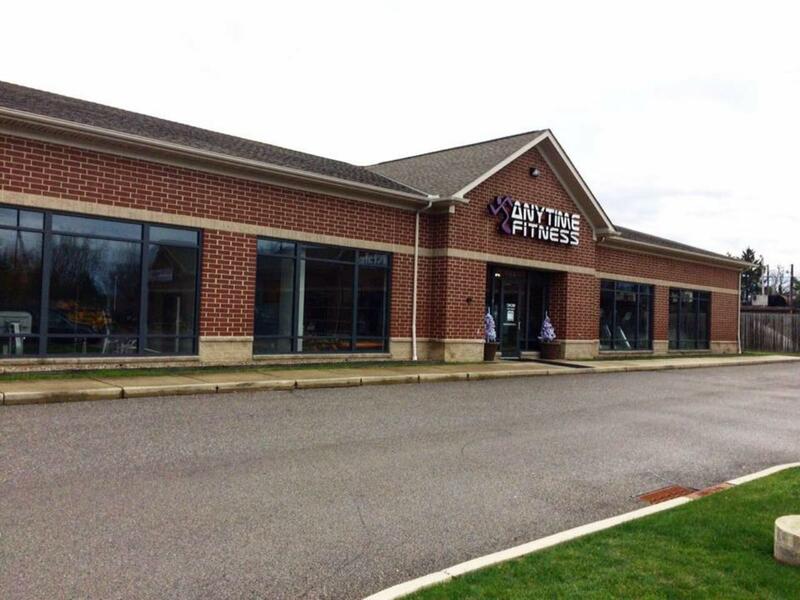 In addition to Anytime Fitness, Anna also owns Clean Eatz in Mentor with her husband, Mike, and is passionate about combining fitness and healthy eating. Anna has competed in NPC Bodybuilding Contests, Half Marathons, an Ironman 70.3, and USPA Drug Tested Powerlifting Meets. Her biggest claim to fame is her wedding, which happened at the top of Mount Kilimanjaro in Africa after a 7 day climb! Anna loves to try it all when it comes to fitness, and loves to encourage her members to do the same. 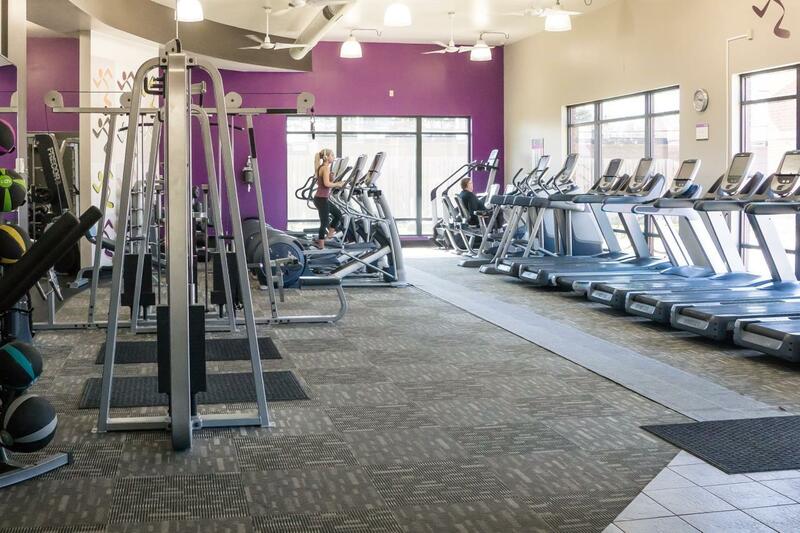 She can't wait to introduce you to all Anytime Fitness Concord has to offer! Von received his Bachelor's in Business Administration from Coe College where he played Football. 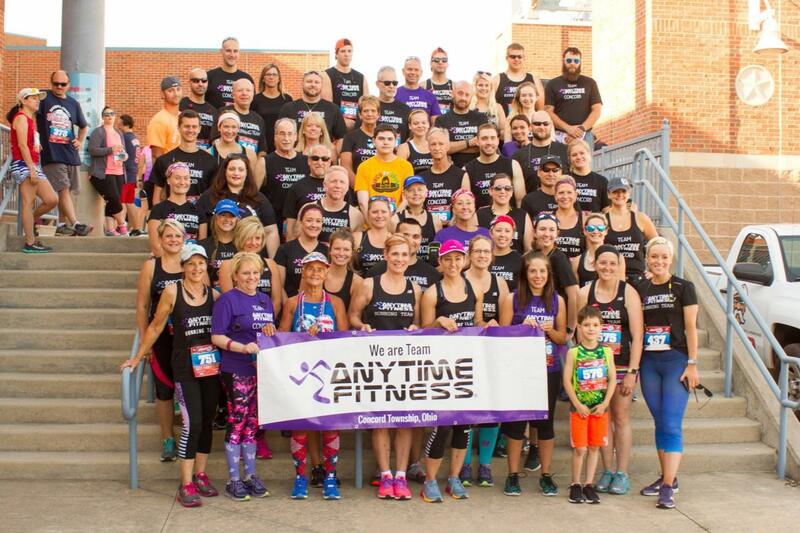 He enjoys developing friendships with all of our members here at Anytime Fitness Concord, and is always cheering on our members in their successes. Von has completed multiple half marathons and is often seen jumping into a Group Training session, but his favorite thing to do in the gym is bench press. Be sure to say hi to Von next time you're at the club! Tyler Falvey is known for his charismatic personality and his ability to make all of our members feel comfortable and motivated. Tyler's interest in health and fitness goes back to his childhood, as he has always loved sports. Outside of training clients, you can find Tyler managing as many intramural sports teams as possible, and of course playing on all of them, too. Reach out to schedule your Fitness Consultation with Coach Tyler today! Jenna Geibel graduated from Slippery Rock University with a Bachelor's Degree in Sport Management. She is a Certified Personal Trainer through NASM (National Academy of Sports Medicine). Jenna has always had a passion for fitness, and played Collegiate Division II Softball. Jenna can relate to clients of all backgrounds, including athletes, but also weight-loss focused clients. She found herself 50 pounds overweight after college, and lost the weight through hard work and dedication. She hopes to help her clients do the same! Jenna is currently working towards her next goal- competing in her first Powerlifting Meet! Marty Moushey has been a Strength and Conditioning Coach, as well as a Certified Personal Trainer, for over ten years. He is IYCA Certified (International Youth Conditioning Association) and coached both basketball and baseball during his 15 years as a middle school math teacher. Marty has a lot of experience with athletes, but he enjoys training clients of all ages and fitness levels. Reach out to us today to schedule your Fitness Consultation with Coach Marty! Ethan is both a Manager for Anytime Fitness and a Certified Personal Trainer through the American Council of Exercise. Ethan graduated from the University of Toledo with a Bachelor's Degree in Exercise Science and is currently pursuing his PTA Degree to become a Physical Therapy Assistant. You may notice that Ethan was born with ulnar deficiency, which some might describe as a condition that limits a person's abilities. Ethan decided he didn't want to be defined by his condition, and grew his passion for fitness. He played Varsity Baseball in high school, recently competed in a Powerlifting Meet, and now helps clients realize their potential, too. He hopes to help his clients gain this same confidence in themselves, while also helping them live a happier and healthier life! Anthony Rosa is an Exercise Science graduate from Baldwin Wallace University. He is a Certified Personal Trainer through the American Council on Exercise, and is passionate about helping people reach their goals. A lot of Anthony's passion comes from his own experience. He has lost 85 pounds from his heaviest, and credits his weight loss to finding and loving fitness and weight-lifting. Anthony enjoys working with clients of all ages and fitness levels, and loves celebrating the little victories along the way. Jolene Santee is a State Official for the United States Powerlifting Association (USPA) and is our Anytime Fitness Concord Powerlifting Team Coach. Jolene works specifically with clients focusing on the sport of powerlifting, and she herself is a World Qualified Drug-Tested USPA athlete. Jolene is exceptionally passionate about the sport of Powerlifting and how it can benefit our members of all ages, experience levels, and strengths. She has coached several of our Club Members to everything from learning to bench press the bar to getting on a platform and landing a new State and National Record! If you're interested in learning about this great sport, we'd love to schedule you for a Fitness Consultation with Coach Jo! Zack Underwood is an ACE Certified Personal Trainer. Zack has been on our staff for over 4 years, and enjoys working with clients of all ages and fitness levels. Zack has competed in Men's Physique Bodybuilding Competitions, but more recently has competed in Drug Tested USPA Powerlifting meets, and has helped lead our Anytime Fitness Powerlifting Team to several Championships. Zack also works as a full-time Auditor and serves as the Assistant Coach of the Men's Golf Team at Lakeland Community College. Laura is a Certified Personal Trainer through the American Council on Exercise. She has her Bachelor's Degree in Psychology, which she believes helps her better understand her clients and their needs. Laura struggled with her weight growing up and finding fitness helped her achieve balance and maintenance. She wants to help her clients do the same! After working with a trainer herself for years, Laura realized she wanted to help others find their "comfortable" body and lifestyle, too, and has been doing just that for over four years. Reach out to us today to schedule a Fitness Consultation with Coach Laura!